Group 4 Securicor plc is a leading international security services company operating in some 100 countries around the world with over 400,000 employees. A previous system called for all the staff to be issued with a swipe card that was presented and swiped at the beginning and end of each shift with a database to calculate the time they had been on duty. The system caused obvious bottlenecks at the start and end of each shift as each member of staff had to wait to in turn to log in and out of the system. The levels of security and staff numbers for an event are usually prearranged making it a difficult area to reduce costs without compromising an events safety and security. 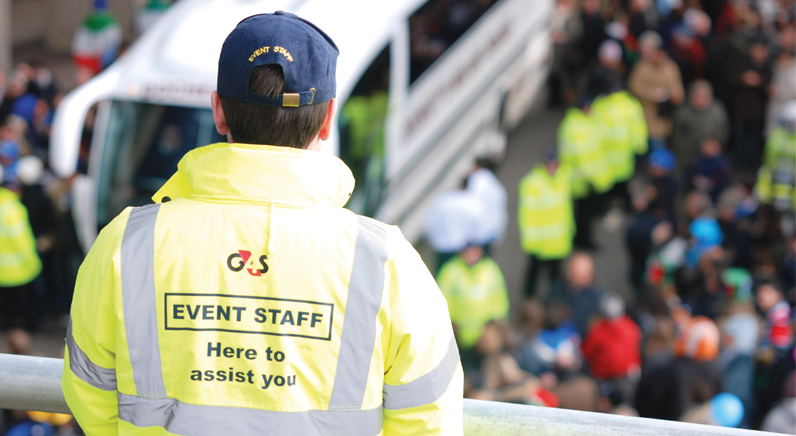 Reducing the time to log staff on and off of a shift was the most feasible way for the G4S Group to reduce the operational costs at an event. The Eureka-iD system successfully tracks and identifies all security staff wearing a unique hands free RFID tag. When staff pass through designated entry and exit points from the security compound at a particular event, the tag transmits its data along with a preset address from a Eureka-iD wakeup antenna. The system confirms the identity of each member of staff and logs the entry and exit movements on to the host system. This enables the client to have a full record of the time spent on duty by each member of the security staff wearing a Eureka-iD tag.The Eureka-iD system eliminated bottleneck issues associated with the staff having to wait to use a swipe system or manually signing in and out at a registration point. Company management are able to obtain accurate staff logging data and can ascertain exactly how much time is saved during registration periods – consequently reducing the companies operational costs at large prestigious events. © Avonwood Developments Ltd. 2017 All rights reserved.